Margaret Reardon’s home in the early 1950s. Her husband was District Officer in Tanganyika Territory. 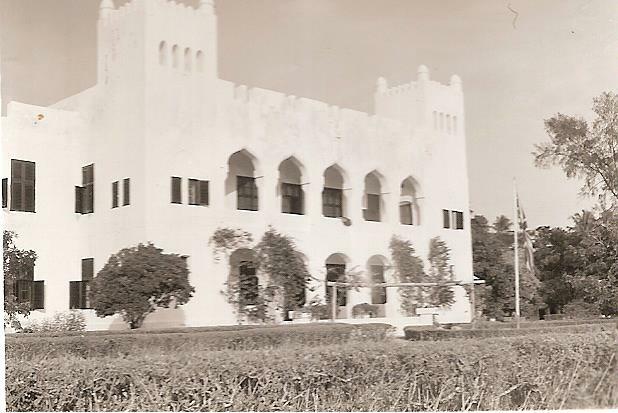 The boma, whose Arabic influences can be seen in the pointed arches here, was built by the German colonial administration at the end of the nineteenth century. 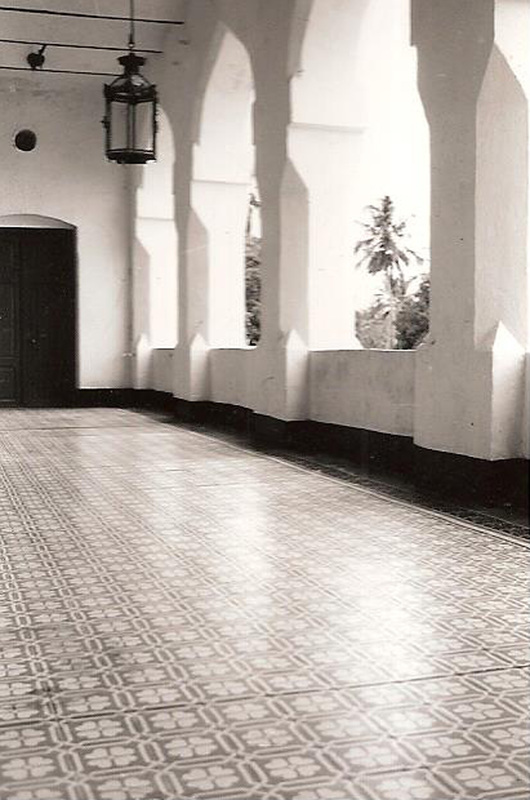 Reardon recalls that the floor tiles were infested with fleas.